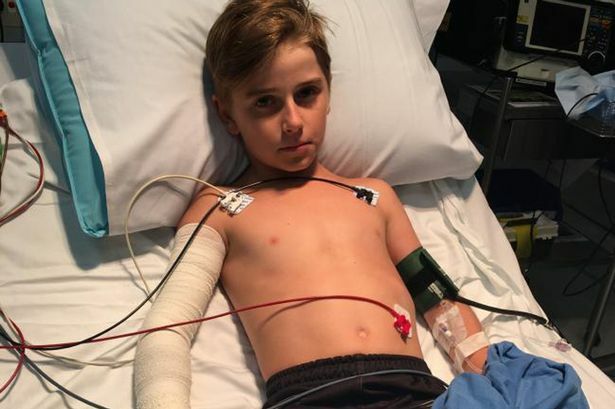 (by Jonathan Pearlman, London’s Daily Telegraph) – A 10-year-old boy in Australia was bitten by the world’s deadliest spider – a funnel-web – but made an “incredible” recovery after being given the largest dose of antivenom in the nation’s history. Last year, a 22-year-old died in Australia from a suspected bite by a redback spider. It was believed to be the nation’s first death from a spider since a fatal funnel-web attack in 1979. Weather forecasts could get a lot more accurate thanks to a daring new experiment that will see a massive research ship completely buried in Arctic ice. The the RV Polarstern will be unable to move apart from when it is carried by slowly moving ice as the treacherous Arctic winter sets in. Scientists will be protected from polar bears by armed guards during the year-long mission. The 1,553 mile voyage will allow them to take measurements and observations never possible before. The bold venture, called MOSAiC (Multidisciplinary drifting Observatory for the Study of Arctic Climate,) echoes a famous polar expedition more than a century ago. In 1893 Norwegian explorer Fridtjof Nansen tried to reach the North Pole by allowing his vessel, the Fram, to freeze in place and drift with the ice. 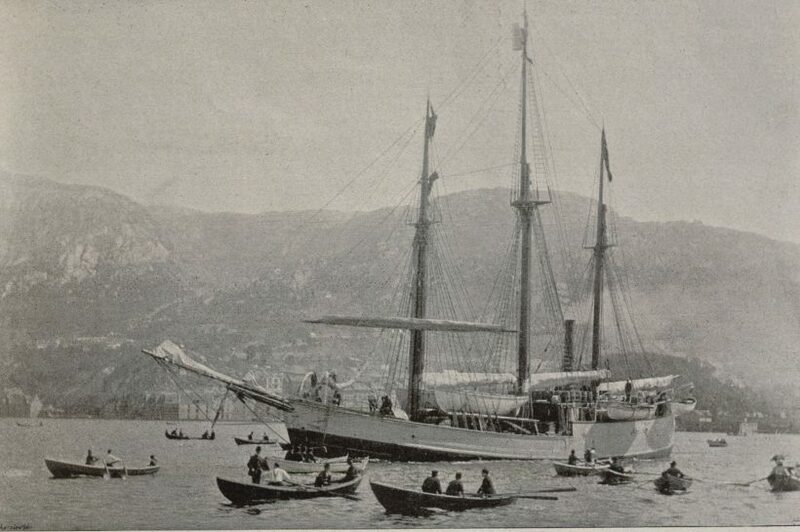 Norwegian explorer Fridtjof Nansen attempted to reach the North Pole by freezing his vessel the Fram (pictured departing from Bergen, Sweden in 1893,) in ice. He and his crew eventually abandoned the ship, which continued to drift past the pole, emerging between Greenland and the Svalbard island group in what is now known as the Fram Strait. While Nansen’s goal was the Pole, the purpose of the 50 million euro MOSAiC expedition being undertaken in 2019 is purely scientific. We can travel along the Siberian coast and then make our way with our ice-breaker to the Siberian sector of the Arctic. Then we just stop the engines and drift with the sea ice. “As the season proceeds the sea ice will grow and by late November we’ll sit in solid sea ice. It will get colder; the ice will grow in extent and thickness. By then we’ll have set up a network of stations on the ice, some close and some 20 or 30km away. Fifty institutions from 14 countries, including the UK, US and Russia, are taking part in the project. 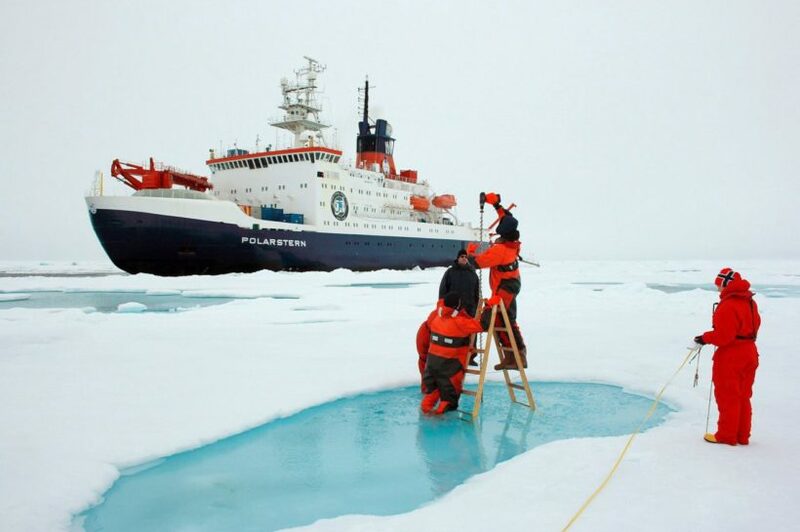 Knowledge gained from the expedition could transform our understanding of climate change and even help forecasters improve their predictions of weather in the UK, said Prof Rex, speaking at the American Association for the Advancement of Science (AAAS) annual meeting in Boston, Massachusetts. What happens in the Arctic has a major impact on the weather in northern Europe and North America. Yet the forces at work are not well understood because gaining access to the region to carry out ground-based studies is so difficult. “There are many, many really small scale processes which affect the climate on a regional and global scale in the Arctic which we can’t observe from a satellite,” said Professor Rex. (Associated Press, Feb. 17, 2017) PUNTA TOMBO, Argentina — More than a million penguins have traveled to Argentina’s Punta Tombo peninsula during this year’s breeding season, drawn by an unusual abundance of small fish. 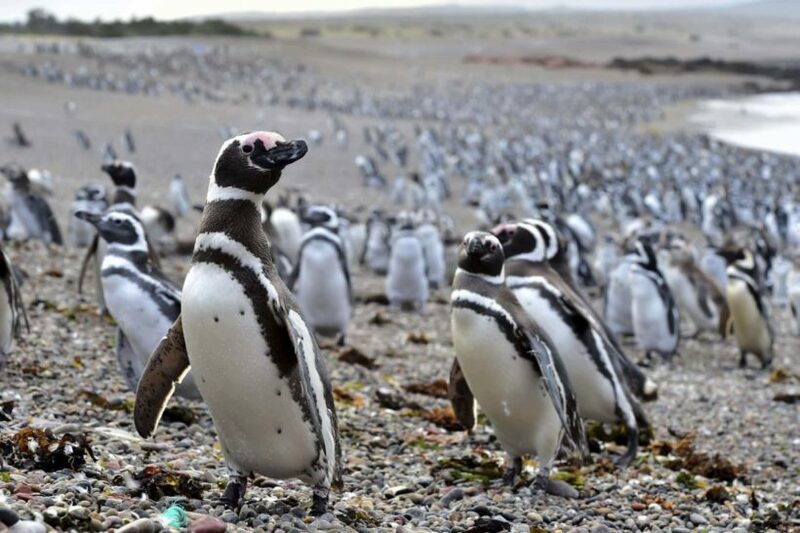 Local officials say that’s a record number in recent years for the world’s largest colony of Magellanic penguins, offering an especially stunning spectacle for the tens of thousands of people who visit the reserve annually. Penguins walk on a beach at Punta Tombo peninsula in Argentina’s Patagonia, on Friday, Feb. 17, 2017. The peninsula’s tiny islets are well-suited to nesting and have sardines and anchovies close to the shoreline. The flightless birds come on shore in September and October and stay while the males and females take turns caring for their eggs and hunting for food. The warm-weather birds breed in large colonies in southern Argentina and Chile and migrate north as far as southwestern Brazil between March and September. They are around 20 inches (50 centimeters) tall and have a broad crescent of white feathers that extends from just above each eye to the chin and a small area of pink on the face.